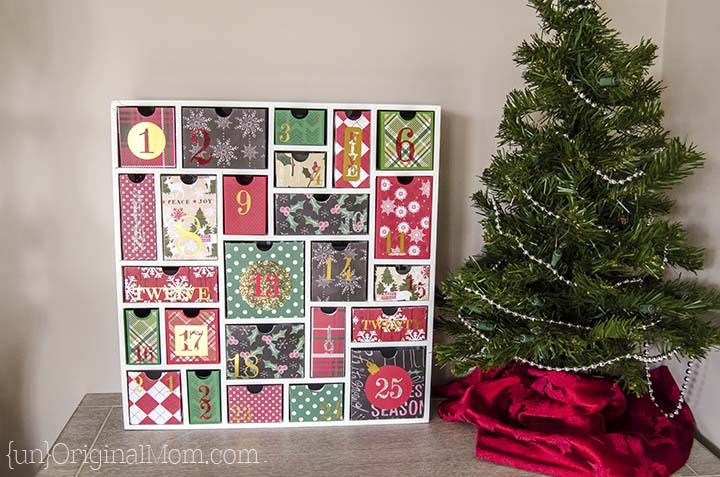 UPDATE: These shadow box advent calendars have been discontinued and are no longer available for purchase :-( But there is a triangle version that will be available in October 2018 through Silhouette! Keep your eye out for those! 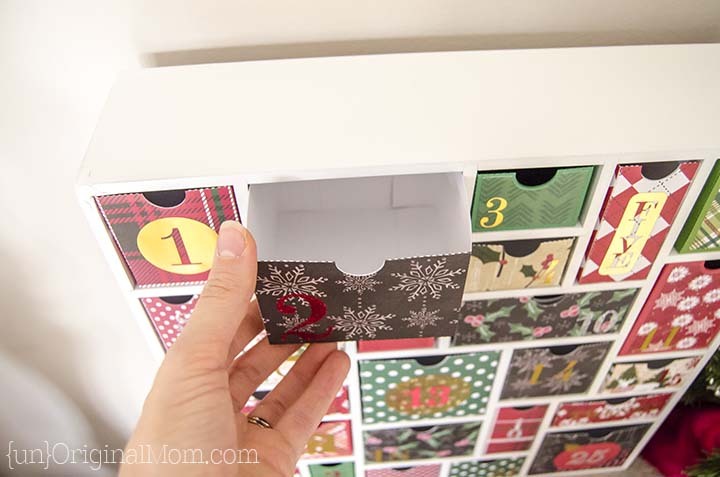 I purchased this Silhouette Shadow Box Advent Calendar during the Silhouette Black Friday sale last year, and since it didn’t arrive until a week or so into December I didn’t get it ready to go for last Christmas. I purposefully *didn’t* pack it away with our Christmas stuff after Christmas, though, so I could get a head start and make sure to have it done in time for December 1st this year! 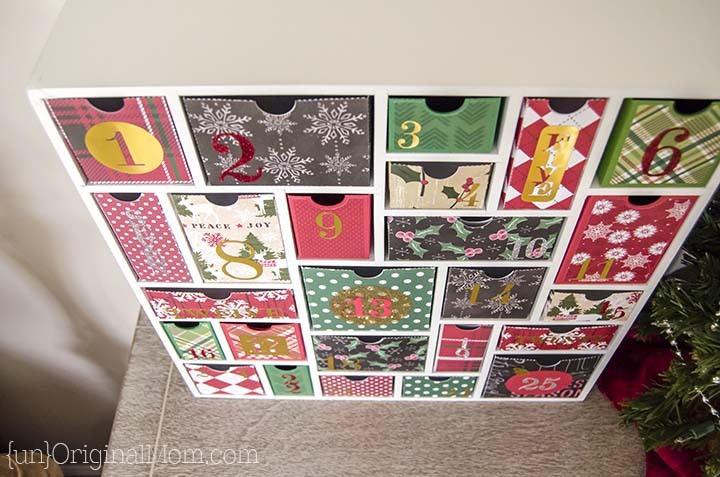 While I didn’t get too much of a head start, I did get it done in time to start with our Advent calendar countdown on the first of December…and I love how it turned out! 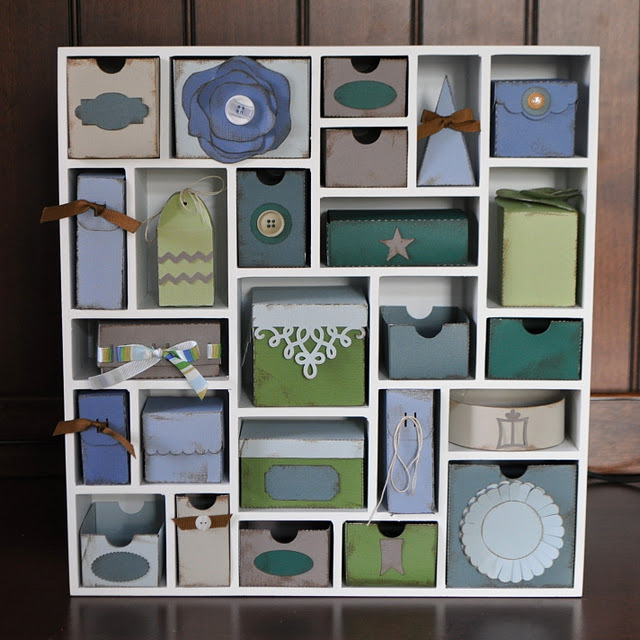 When you unwrap the shadow box, inside is a download card that will give you access to two different sets of “fillers” for the boxes – 25 little drawers to fit inside each slot, or 25 adorable little boxes sized to fit the slots. You can’t go wrong with either! I liked the look of the drawers, so I made a set of those for our calendar. (All the drawers are Portrait-sized-mat-compatible, hooray!) Then I designed different sizes and shapes of numbers to put on each drawer. 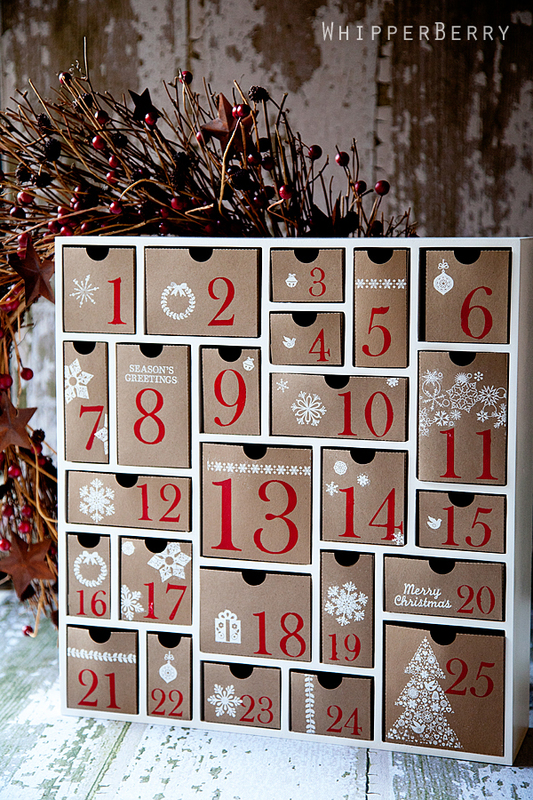 I used a combination of printable gold foil and double-sided adhesive with glitter to fill in the numbers. Each little drawer is unique and fun! This is a really great project for all experience levels of Silhouette users. Making the drawers themselves is really straightforward – just cut card stock and assemble. I did this pretty quickly and didn’t do a whole lot of extra embellishment…but you could get REALLY fancy if you wanted to! There are lots of ways to be creative with this project. Now I just have to fill them! I’m planning on printing out scriptures from the Nativity story for each day to roll up and put in each little drawer. 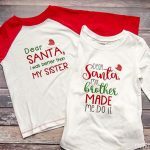 Then I think I will try to follow the ideas given in this post by SweeterThanSweets to put a tangible object along with each scripture, as a fun little “discovery” for my 3 year old each day. 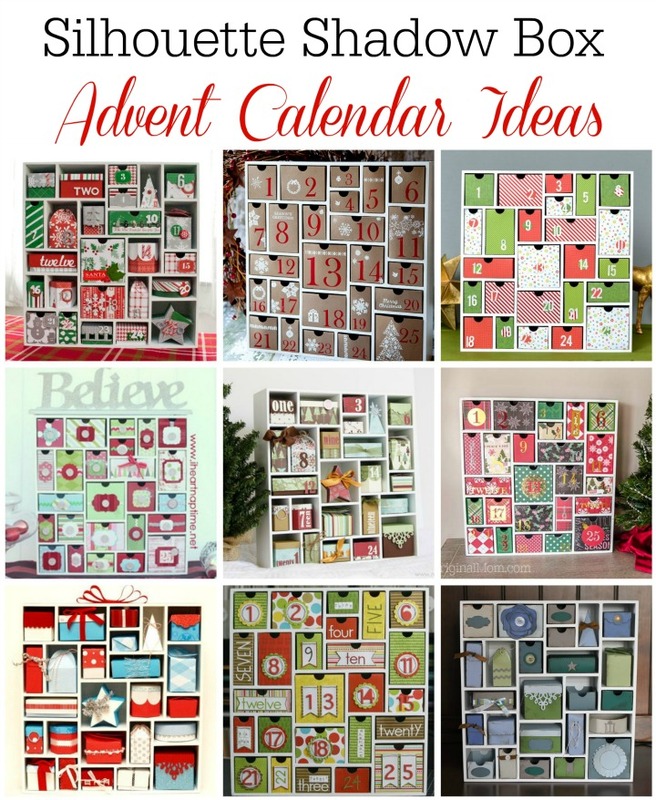 If you’d like to buy your own shadow box Advent calendar, they are 40% off right now through Friday, December 4! Plus there’s free shipping to the contiguous US on orders over $50, so I’m sure you won’t have any trouble throwing some more materials in your cart to save on shipping costs ;-) (I recommend the printable foil and double-sided adhesive!) Use my promo code, “UNORIGINAL,” at checkout to get the sale price! 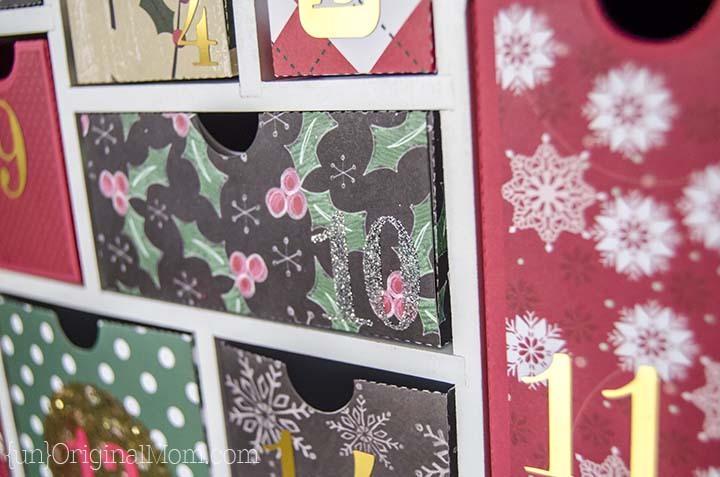 If you purchase a shadow box Advent calendar with my promo code, I want to say “thank you” with a small gift! 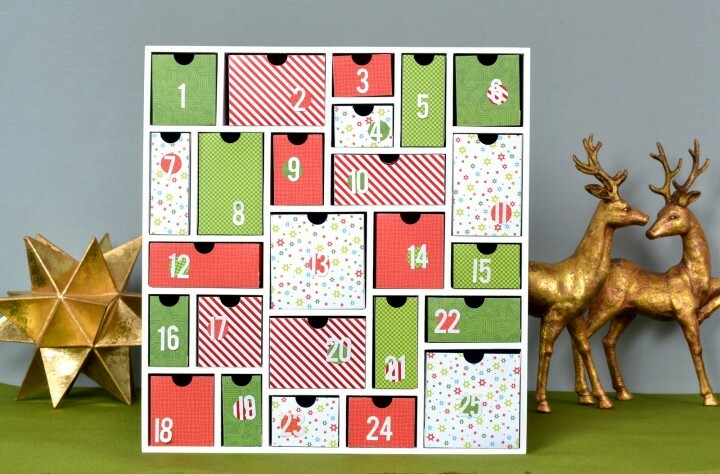 Send me an email (meredith at unoriginalmom dot com) and let me know that you bought one using my code and I’ll email you the cut file I used to create the numbers on my advent calendar. 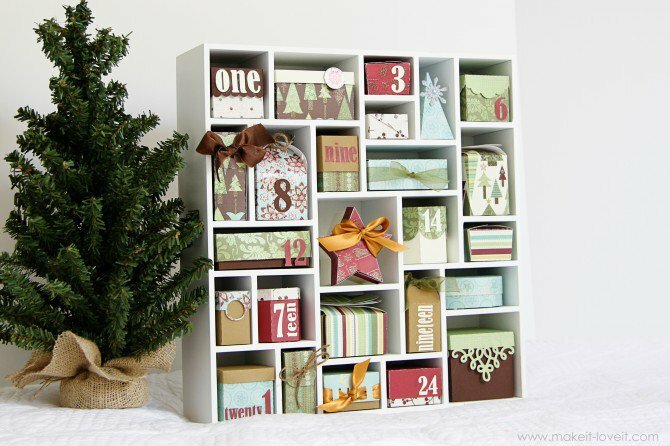 All the numbers are correctly sized and laid out to fit your shadowbox drawers, so you don’t have to reinvent the wheel when you make yours! (Or, just use it as a starting point and add your own spin to the design!) Honor system here, folks…so just use my promo code, UNORIGINAL, at checkout, and then send me an email to get your cut file. (Please allow 48 hours for me to reply.) Merry Christmas! 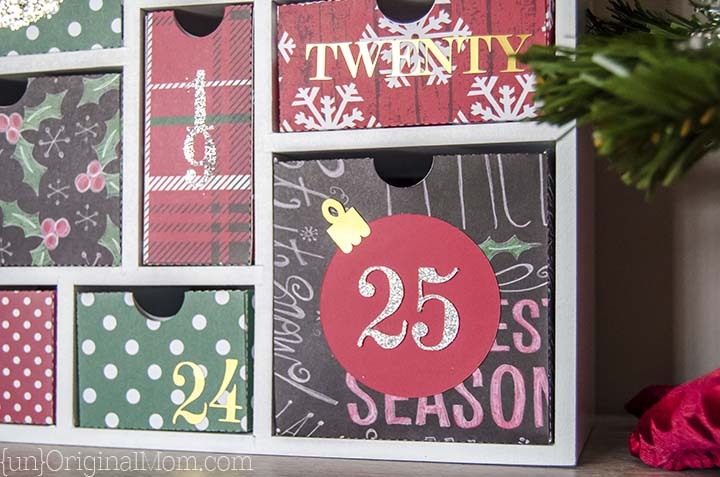 And, since we’re all about inspiration here at unOriginal Mom, check out a few other BEAUTIFUL silhouette shadowbox advent calendars that some other talented bloggers have created! 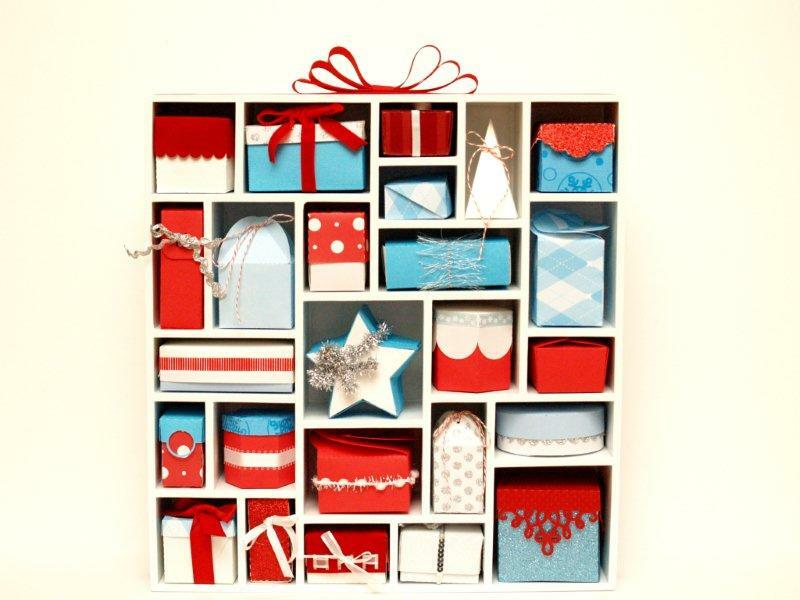 Have YOU made one of these? 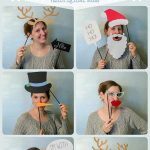 Send me your photo – I’d love to see it and even share it with my readers! Rose Petal Keepsake Ornament and a Proposal to Remember! 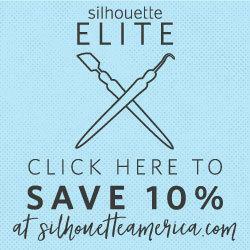 ← Silhouette Black Friday Sale!! Thank you for this blog as I just got my the cameo a few weeks ago and it came with this box, so this has been a huge help. I have been using this as a guide to help me. 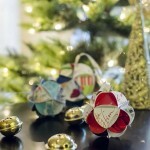 I am getting ready to put on the “decorations” and noticed you created your numbers, i had thought they were stickers. Did you measure each box to figure out what size font you need for each number? Thanks! Hi Debby! 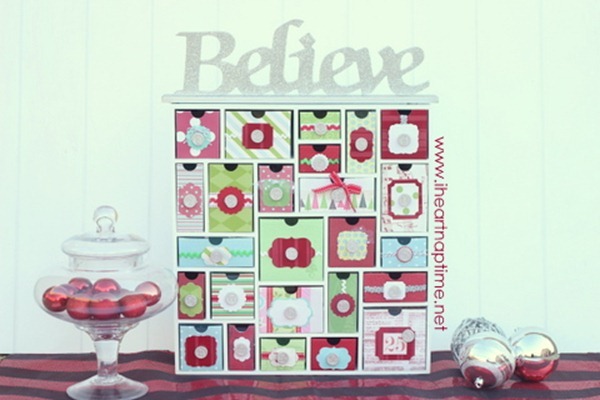 This is a great beginner’s project…it will really help you learn your way around the machine! I used the rectangle tool in Silhouette Studio as I was cutting out each drawer and “drew” a rectangle the same size as the front of the drawer – then I used that as my sizing guide for creating the numbers. You can use any font you want for the numbers! I cut some of mine out of printable gold foil, and the others I cut out of double sided adhesive and then added glitter. Hope that is helpful! 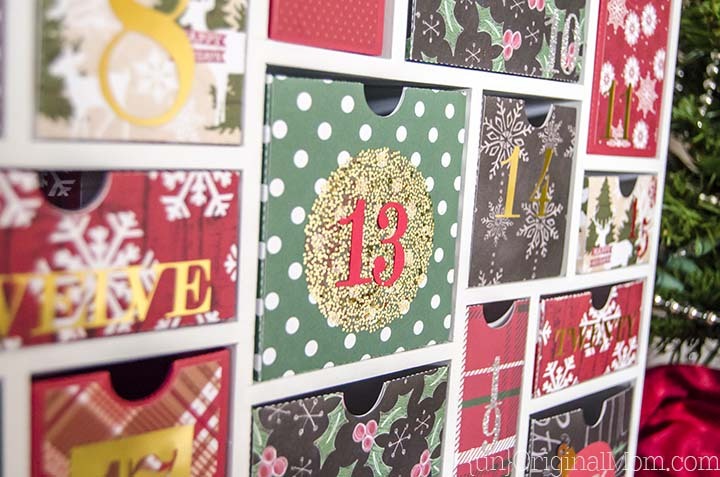 How did you make sure they were going to cut out the correct size to fit into the designated spot on advent calendar? The “default sizes” appear to be too large. I just cut box 10 and it is way to big. Hi Jennifer, I just used the designs from the download card that came with the shadowbox…they were definitely a tight fit in the boxes but they did fit perfectly. Make sure you’ve got the right side up on your shadowbox, I think I had trouble at first because I had it turned the wrong way. Or maybe you resized it accidentally? Sorry I can’t be more help, I know that mine fit without having to do any tweaking though! 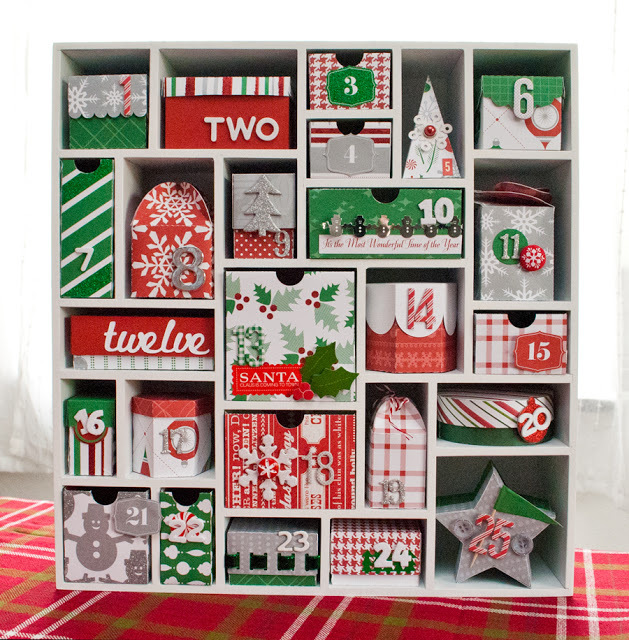 I love this advent calendar, I tried to purchase on the site you suggested but nothing comes up. Hi Donna, it looks like it has been discontinued :-( So sorry! I’m so sorry I missed out on these. They are so cute! I want one. I thought I would be able to purchase, but they are discontinued. I think I will try to make the shadowbox myself. But I need to know the dimensions. I think the outside measures 15 x 15, but will you tell me the dimensions for the inside cubbies? I’d be most appreciative! I’m sorry Cheryl, my box is packed away who-knows-where right now with all my Christmas decorations! 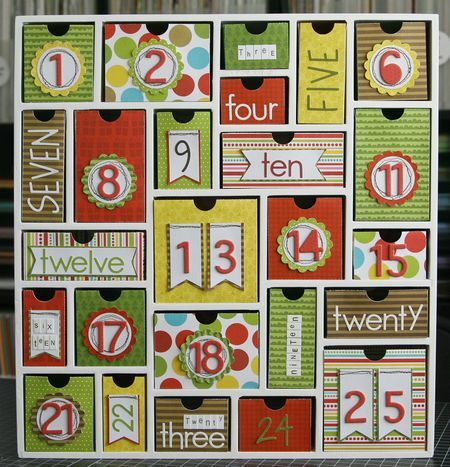 Silhouette does have a triangle shaped shadowbox advent calendar similar to this one, and I believe it will be on sale in October. I bet Silhouette will be able to help you out! I don’t think I have the download code any more…but if you can’t get your hands on the files send me an email and I’ll see what I can dig up. I got a hold of Silhouette and they were awesome, got me hooked up right away.